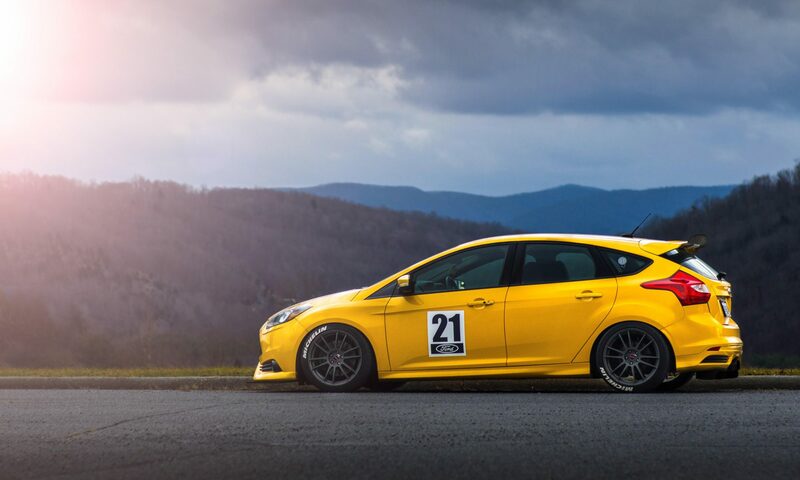 The title almost says it all. 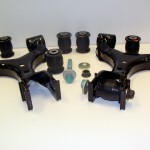 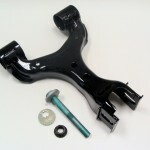 AWR is proud to announce our New Rear Upper Control arms with eccentrics on the outer position for camber adjustability. 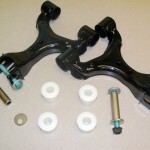 These allow for camber to be adjusted in or out for different situations. 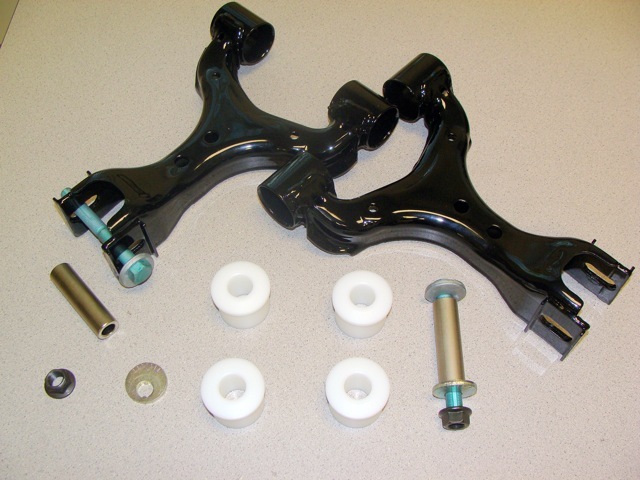 Get rid of unwanted camber when lowering vehicle and running on slicks or increase camber when desired. 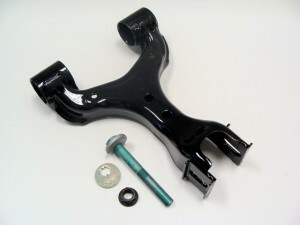 Control arms are sold in pairs and available 4 ways. 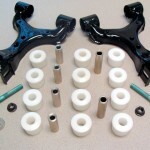 Bare arms with eccentrics, washers and nuts – no bushings. 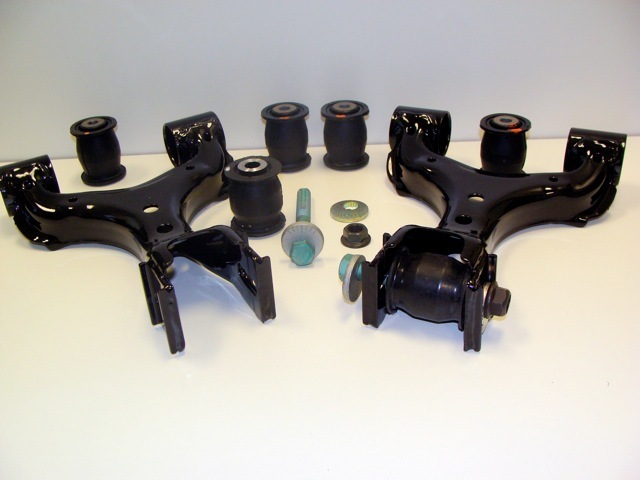 Arms as above, but with the addition of 6 Mazda Competition 40% stiffer bushings. 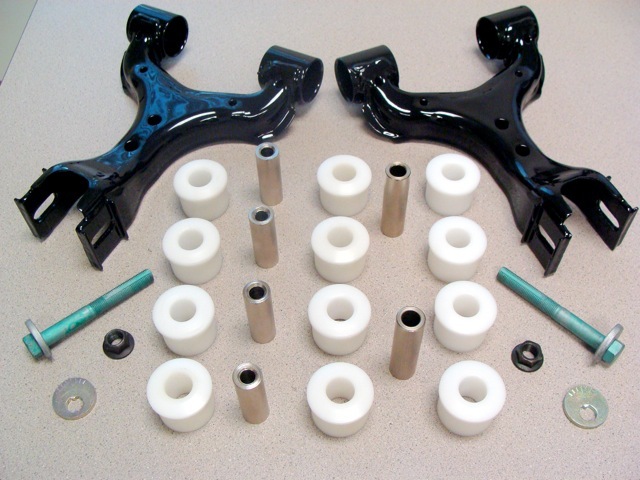 Arms, eccentrics, bolts, washers and Delrin bushings for all six positions, inner and outer for the control arm.